With all the charm and versatility of a 7-seater SUV, the QX60 Hybrid blends modern technology with elegant design in a fuel-efficient package that’s sure to charm and impress. 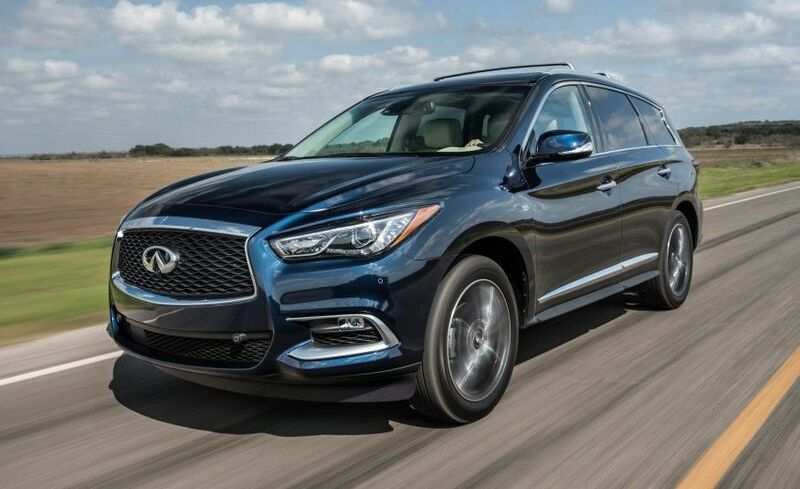 The 2016 Infiniti QX60 Hybrid is a looker, that’s for sure. With sleek, flowing lines and a body design that’s both bold and muscular without being brash and flashy, the QX60 Hybrid looks identical to its non-hybrid gas brethren. We’re huge fans of that. Why should your more fuel-efficient vehicle look so drastically different from the gas-powered version? Also, looking at this SUV you’d never know it houses the technology it does. 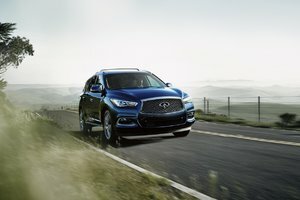 Featuring Infiniti’s new mesh chrome grille up front with signature LED headlights and a rear that's taught and raised as if the vehicle is ready to pounce, the 2016 Infiniti QX60 Hybrid exudes an air of sportiness along with its elegance. Step inside the Infiniti QX60 Hybrid and elegance abounds. You’ll notice immediately the integration of Fuki-Urushi, an ancient Japanese technique whereby layer upon layer of lacquer is patiently applied to wood grain to preserve the natural grain and beauty of the surface. It’s a stunning addition to an already-impressive interior rife with leather, soft-touch materials and stunning design elements. A sliding and tilting second row (even with a car seat installed) makes getting in and out of the third row an absolute breeze, and means you might actually find yourself using it. A novel idea as these areas are often difficult to get to – not so in the Inifiniti QX60 Hybrid. InfinitiConnect ensures you stay connected at all times when behind the wheel of the QX60 Hybrid. Dual 7” rear screens integrated into the headrests of the front seat ensure rear passengers are as comfortable and entertained as possible on longer journeys, and up front the large coloured screen in the centre stack keeps you informed of car data as well as navigation and entertainment settings. Of course, looks and amenities aren’t all the 2016 Infiniti QX60 Hybrid is all about. Driving dynamics abound in this smartly dressed SUV. 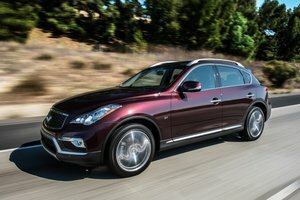 Equipped with a supercharged 2.5L inline 4-cylinder engine coupled with an Infiniti Direct Response Hybrid system that utilizes lithium-ion batteries and a 15kWh electric motor, the QX60 Hybrid has a net power output of 250 ponies and 243 lb-ft of torque. Only one model is available to choose from and it features a CVT and AWD. Now, the number you’ve all been waiting for; the fuel efficiency. For a vehicle that can carry up to 7 passengers and a host of gear, the 2016 Infiniti QX60 Hybrid is rated at 8.9L/100km in the city and 8.4L/100km on the highway. Yup, you read that correctly. To find out more about the new 2016 Infiniti QX60 Hybrid, head down to your local Morrey Infiniti dealer to speak to one of our experts today. And don’t forget to book a test drive, too. 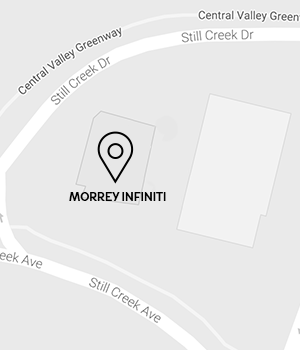 Newsletter Be the first to be informed about Morrey Infiniti of Burnaby's news & events.